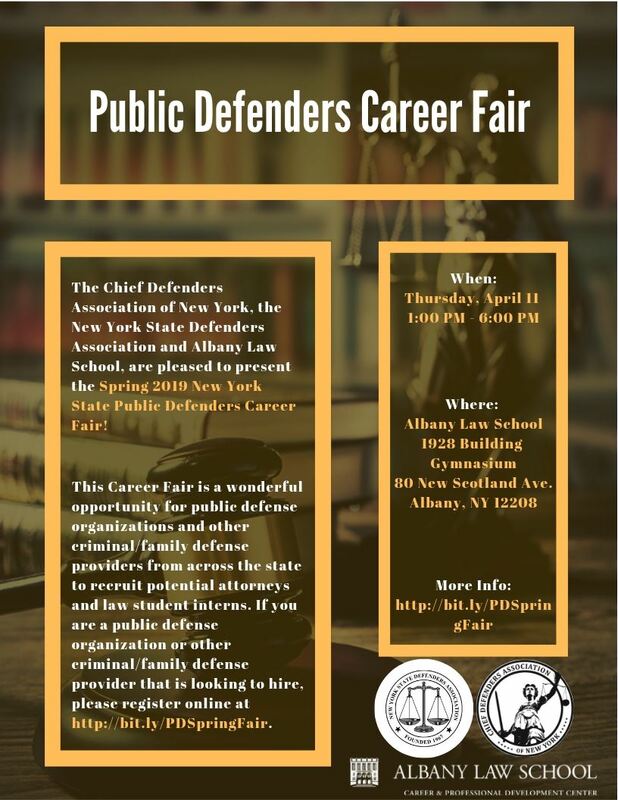 We are pleased to announce the New York State Public Defenders Career Fair, hosted by Albany Law School. The New York State Public Defenders Career Fair is an excellent opportunity for public defenders to recruit potential attorneys and law student interns. If you are a public defender office that is looking to hire, please register online.